Belmont Stakes 2015 Undercard Selections: Worldwide, horse racing fans have been eagerly awaiting this day on which American Pharoah will tackle the ever elusive Triple Crown. 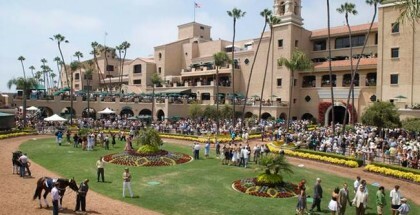 This is a special week, so we are moving to Belmont Park to analyze all the stakes, including the third leg of the Triple Crown that takes place on Saturday, June 6, 2015. The Woody Stephens looks like an easy spot for Competitive Edge, a colt likely to remain unbeaten after this race. The way he won the Pat Day Mile indicates this field should not stop him. 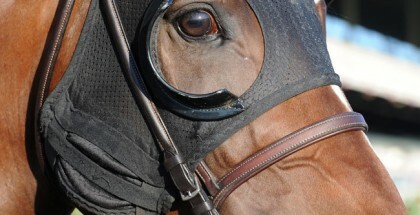 Watching his past performances, Competitive Edge’s future could be two-turn races; is he following in Bayern’s steps? Only time will tell. With this in mind, the battle in this race should be for second place, and I’m picking the tiny Cinco Charlie to take it. The Jaipur is a tricky race where a longshot can win. I’m giving a lady the slight edge. Shrinking Violet returned with a decent third place in the Very One Stakes at Pimlico. She’s eligible to improve in her second start after the layoff, plus she should appreciate the added distance this time. Channel Marker likes to come off the pace, and if the pace is hot, he has a huge chance to steal this race at big odds. Cisco Torres knows this horse very well, so with just a clean break, this horse will be in the mix. Mosler impressed in his first attempt in sprint races on the turf. After plenty of tries over the dirt, the turf is probably the future of this highly regarded horse. With the absence of Beholder, Untapable is likely a cinch in this race. Only Wedding Toast could try to beat her, but I think she’s a step below the champion. This race does not offer value, so I recommend just watching and enjoying the race. The Brooklyn Invitational Stakes (GII) is run over 1½ miles on the dirt. It is well-known that American horses are not bred to handle that distance, and that is why it is really tough to handicap a race where you know the horses don’t want to go that far. Based on this premise, I’m going to pick two American and two foreign horses. Sky Kingdom is used to running marathons in the United States, and he also has a nice record in 1½-mile races with two wins and two second places in four starts. Indeed, in his last race in the Tokyo City (GIII) over 1-1/2 miles, he smashed the field. Effinex is in great shape and looked very nice winning the Excelsior Stakes over 1¼ miles. He should again be in the mix, but those two extra furlongs are tricky. The Argentinian-bred Ever Rider is bred to run all day, and he has a victory in a 1-5/8-mile race. It is true that he has not raced since December, but it seems as if he has been preparing exclusively for this race. Turco Bravo (CHI) disappointed in his last race, but in my opinion he should appreciate the stretch in distance. The Texan Promise Me Silver is finally moving to the major leagues after easily winning the Eight Belles Stakes (GIII). She is also stretching out to a mile, a distance at which she has never run, but this filly has a great heart, and the distance should not be a problem. Her main contender will be Shook Up, a runner-up in the Kentucky Oaks. Shook Up had a bad trip in that race and managed to take second place, finishing very well. To be honest, I’m definitely rooting for the Texan lady. Tepin’s performances have been marvelous this year, and she looks ready to face top company for first time. Discreet Marq is a warrior and always runs very well; this time, the distance will be her best ally. Lady Lara was doing very well, but she failed inexplicably in her last race, so now she’s eligible to bounce back. With the presence of both Private Zone and Bayern, I expect a hot pace in this race that could benefit the horse that in my opinion is in the best shape and probably the best older horse right now, Tonalist. He returned on May 2 with a monster performance in the Winchester (GIII) over one mile. If everything goes normally, Tonalist is going to win this race. His main threat will be Wicked Strong since he has been working like a freak and can also stalk the pace and just grind and grind to pass the tired frontrunners in the stretch. Finnegans Wake is at the peak of his career, so he is a must-use in all your plays. It’s important to notice that his last five wins have come with Victor Espinoza in the saddle, and that means a lot. Twilight Eclipse is the class of the field and should also be considered in all your plays. This horse, with the absence of Main Sequence, looks very tough to beat. 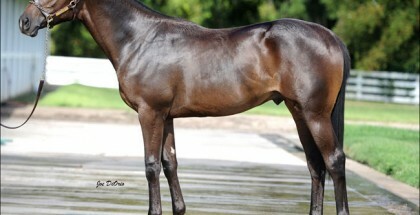 I’m including a horse that is someday going to win at big odds, Slumber. The 2015 edition of the Belmont Stakes (GI) has American Pharoah as the central character. He could become the first Triple Crown horse in 37 years if he can handle the always tough 1½ miles of the Belmont Stakes. Last year, California Chrome was unable to sweep the Triple Crown, but now fans have one more chance to witness history. American Pharoah will face some fresh horses that skipped the Preakness Stakes, like Frosted, Mubtahiij, Materiality, Keen Ice, and others. History says that you must bet against the candidate to win the Triple Crown, so I’m trying to beat American Pharoah with Frosted, a horse that is working very well for this race and looking very fit. Frosted also ran a very nice race in the Kentucky Derby, finishing fourth after running very wide throughout the race. He could definitely be the killjoy of the day. Mubtaahij has the pedigree to run all day and will appreciate the stretch out to 1½ miles. Trained by Mike de Kock, this horse has been improving each day. His Kentucky Derby form was not the best as it was evident that he suffered as a result of the long journey from Dubai to America. Now, he looks way better and should be a major threat. 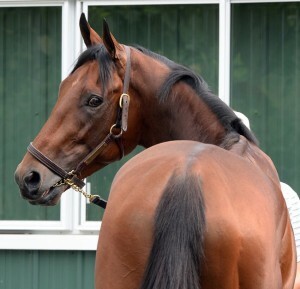 American Pharoah is like the Road Runner, who was never caught in any episode. But, I feel the Coyote will catch him this time. The 147th running of the belmont Stakes takes place on Saturday, June 6, 2015 at Belmont Park in Elmont, New York. 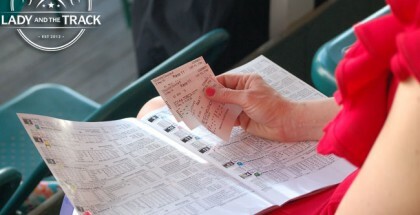 The third and final jewel of the Triple Crown will be the eleventh race scheduled for 6:50 p.m. ET and will air on NBC. See full stakes schedule.